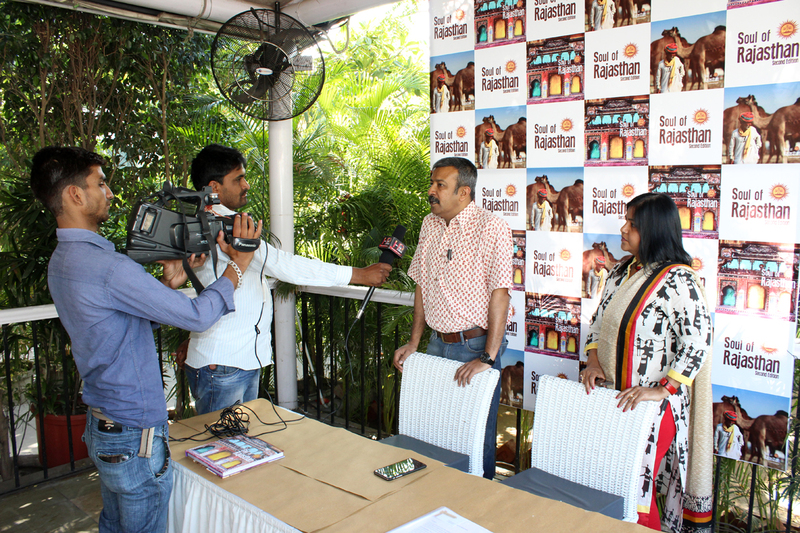 A leading branding and marketing firm; Pathfynder Solutions launched a coffee table book “Soul of Rajasthan” at a press conference held at The Forresta Kitchen & Bar on Friday, 20thMarch, 2015. The book launch will be followed by a two-day event being held at Mool Foundation on 21st & 22nd March’15 from 10 a.m. to 7:30 p.m. This event will display few elements from the book along with allowing guests to preview the book. Glitterati of Jaipur from various fields like art, photography, politics, marketing, social media will be visiting the event. 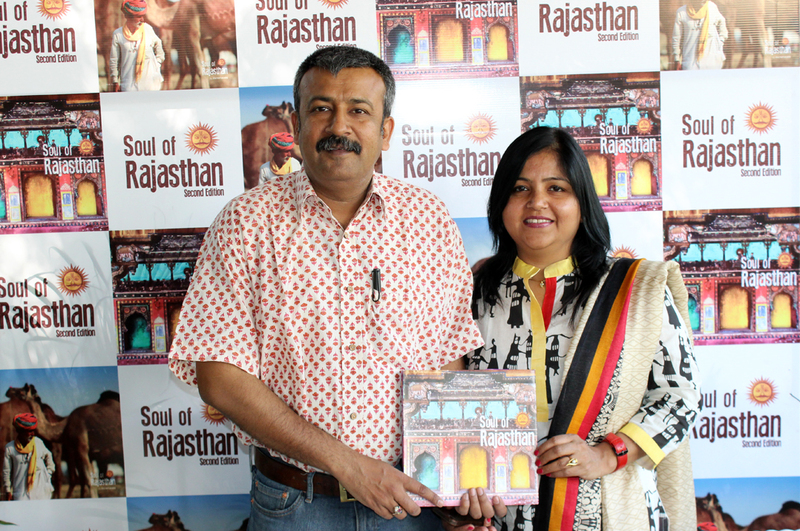 The Second Edition of Soul of Rajasthan has been made with an entirely different perspective of Rajasthan that acquaints you with the varied faces of the Land of Kings. It comprises 144 pages, 143 photographs out of which 117 photographs have been clicked by Gaurav Hajela, the Founder of Pathfynder and a renowned photographer who has been awarded in various photography competitions. When asked about the reason why Mr. Gaurav Hajela decided to come out with the second edition of this book, he said “After the release of the first edition, I realised that 80 pages are too less to capture the magnificence of Rajasthan hence a larger version was conceived that now carries less explored treasures of Rajasthan in terms of places, cuisines, forts etc. For that reason, some new chapters have been added that talk about fashion, adventure, nightlife and many more vivacious shades of Rajasthan”. 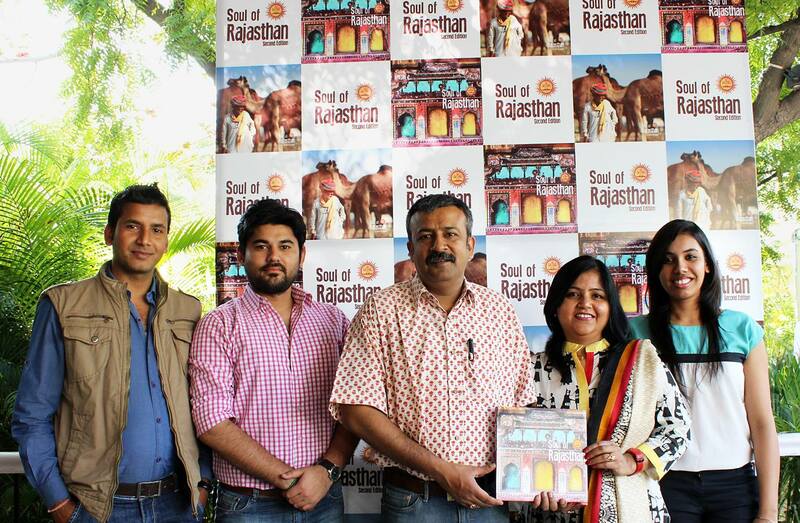 The book ‘Soul of Rajasthan’ has a strong presence on social media platforms viz. Facebook, Instagram, Pinterest along with its own website. 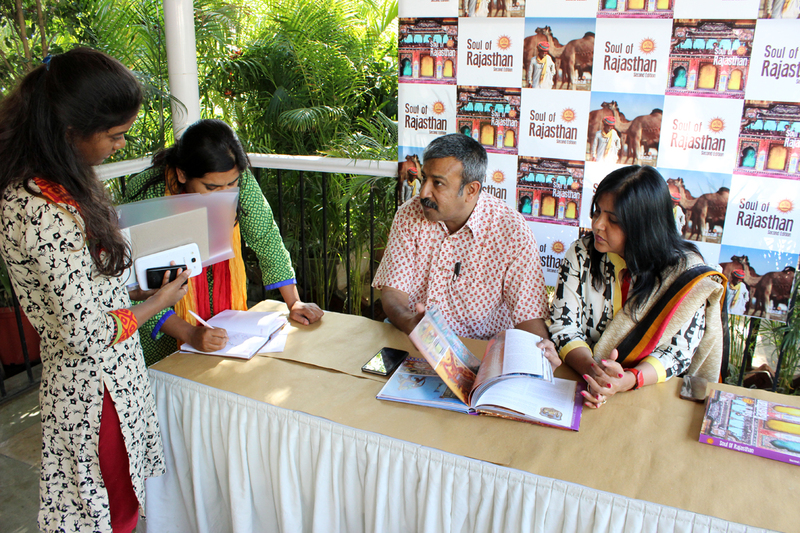 The copies of the book will be available in the leading retail stores of Jaipur and online subsequently. It will also have its own mobile app in a short time. Time: 10 a.m. – 7:30 p.m.
Next Post 6 Best Places In Jaipur To Shop Rajasthani Prints!